Since the birth of the Communist Party of China in Shanghai, Chinese post-modernizing society has never been the same way now. Definitely, the ruling party is the source of all political power that exudes all the exclusive right to legitimize and control all other political organizations. It alone determines the social, economic, and political goals for the society, mostly controlled by the elites, who themselves are leaders of the party hierarchy. Mao Zedong dominated the “First Generation” leadership of the People’s Republic of China. Deng Xiaoping and his cohorts defined the “Second Generation” as China opened its economy to the world. Jiang Zemin spearheaded China’s peaceful development of the “Third Generation” stabilizing China’s post-Tiananmen economic reforms posting a consistent economic growth trajectory. Hu Jintao’s peaceful rise and harmonious society consolidated the “Fourth Generation” while the “Fifth Generation” under Xi Jinping will beyond doubt lead an army of confident Chinese dreamers. The five charismatic and enigmatic paramount leaders of China have led and will be leading the most populous country in the world to its Manifest destiny as it prepares for the party’s centennial celebration by 2049 since the Chinese communists theoretically founded a new political dynasty in 1949, having its seat of power in Beijing. Chairman Mao is revered as the architect-founder of the successful political party in China, though his dominating influence or charismatic appeal wanted to purify the party and state leadership. However, he may be faulted for introducing the Cultural Revolution, excessively manifested in the Great Leap Forward, which launched a massive personality cult. French and Russian-educated Deng should be credited for China’s staying power. Not for his pragmatic economic brilliance, China could not have reached its global status today as the ‘other’ superpower. His economic pragmatism succumb many Chinese to believe that ‘to get rich is glorious,’ and ‘it doesn’t matter whether the cat is black or white as long as it catches mice,’ generalized his realistic policies. He consolidated his control over the central command structure of the armed forces, reformed the People’s Liberation Army military officer corps training, and replaced the large number of aging officers by younger in age and better educated officers. Therefore, the Mao-Deng extreme leadership values differ, as the first laid the ground on political reforms for 27 years, whereas the second paved the way for economic reforms for 14 years. Under Jiang Zemin’s development dictatorship at the expense of ethics, he outlined his new vision. His ‘pay attention to politics’ campaign consolidated his obvious personal authority just as the Cultural Revolution was massively attached to Mao. Three decades ago, PLA was considered a boxer suffering from ‘short arms and slow feet’. But the inferiority complex rapidly changed at the latter part of Jiang’s presidency in his effort to modernize the armed forces as it began to strengthen hardware capability and essentially contain enemies. Stretched by Hu Jintao’s harmonious society concept, his hands on work for security, military, and defense matters greatly impacted the PLA as he earmarked more funds for the digitization of operations as well as the development and procurement of weapons. His concept of the army’s functions goes beyond ‘traditional’ tasks and embodied the role of armed forces to provide substantial force to ensure the consolidation of the ruling party status to provide strong security backing for China’s development. When Xi Jinping ascended into power, he dreams even farther to modernize the PLA to fully realize national reunification with islands in South China Sea and renegade province Taiwan. These are all factors which place Chinese military under heavy pressure in securing the country and its border areas. A decision to strengthen the reform of China’s national defense and armed forces was adopted at the Third Plenary Session of the 18th Central Committee of the Party. Under Xi, China’s defense budget has increased by double digits nearly every year making China the world’s second largest military spender. Now that China is aggressive in ocean filling, artificial island reclamation and infrastructure building within its controversial coastal geography through a U-shaped nine-dashed line map, Beijing has effectively put up its own Great Wall of the Sea in the South China Sea carrying out its Anti-Access Area Denial (A2/AD) strategy, certainly aimed at denying other militaries access to the energy and marine rich resources in the disputed islands. Using historical claims to secure its sovereignty over the contested islands, China’s Koumintang government, then in battle with the Communist Party in 1947, issued a local map of the South China Sea islands, enclosing it in irregular 11-dashed line of varied lengths and distances from nearby coasts. But Chinese incursions resulted to illegal occupation of the West Philippine Sea that outlines China’s expanse in maritime projections in forming boundaries for China’s naval defensive perimeter. Aggressively, the People’s Liberation Army Navy made a shift from ‘coastal defense’ or land-focused to ‘offshore defense’ or ocean-focused strategy, a shift to prepare them from safeguarding their shores in the seas off the Chinese littoral to perform a mix of sea and area denials and to flex power projections in the region. 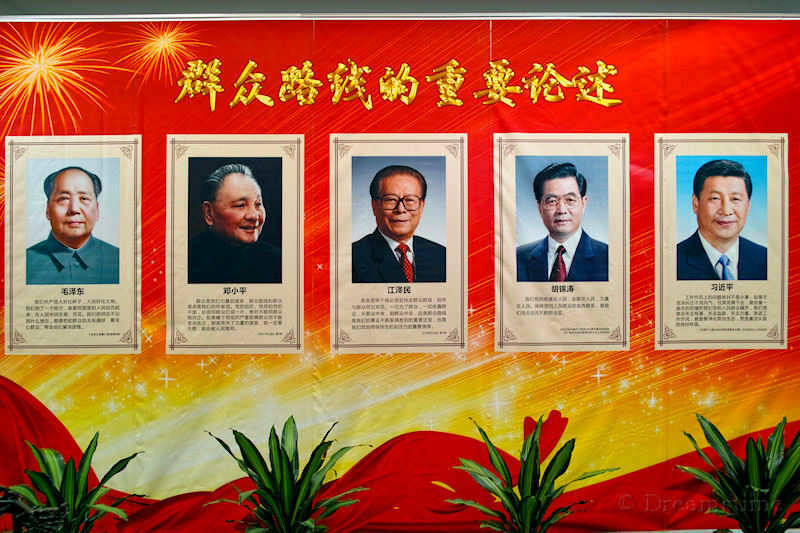 From Mao’s foundation of ideology to Deng’s pragmatism to Jiang’s three represents to Hu’s harmonious society and peaceful rise to Xi’s Chinese dream, all of them reinforce the Chinese dictum that, ‘the great revival of the Chinese nation is the greatest Chinese dream’. This may vary in interpretations, but still, China is maligned with internal security challenges like massive corruption, extreme gap between the rich and the poor, imminent environmental degradation, among others. But ultimately, will China become a responsible hegemon to its smaller neighbors or will it mightily flex muscles and keep puffing potent fires?